Do you know how to tell child-led games from adult-led games? Adult-Led Games are ones that are led under the guidance of an adult. Did you know that games were even categorized that way? The comparison I’m sharing below was taken from a Facebook post by Wilder Child. I had never thought about these differences in such an organized way. Perhaps you haven’t either, so you’re apt to find this comparison thought provoking! Wilder Child observed children in flow state playing games. They found that it bore little resemblance to adult-led activities, sports, and games. Now realize that this has nothing to do with one being a “better” way than the other. It’s more about being aware of the differences. It’s also about honoring the time and space for children to have self-directed, unstructured play. Children absolutely need time to play – wild and free! ou could say that children – regardless of age – naturally follow internal or genetically encoded play urges. When they are “in charge” of a game, they totally follow these urges. As you can see by the above comparison, adults are the absolute opposite of this, directing the games they lead with meticulous parameters, rules and expected outcomes. To participate in child-led games or play, adults need to watch and learn to be a play ally. A large part of being a play ally involves waiting and watching because child-led play is about waiting to see what unfolds. We can’t be in a hurry. 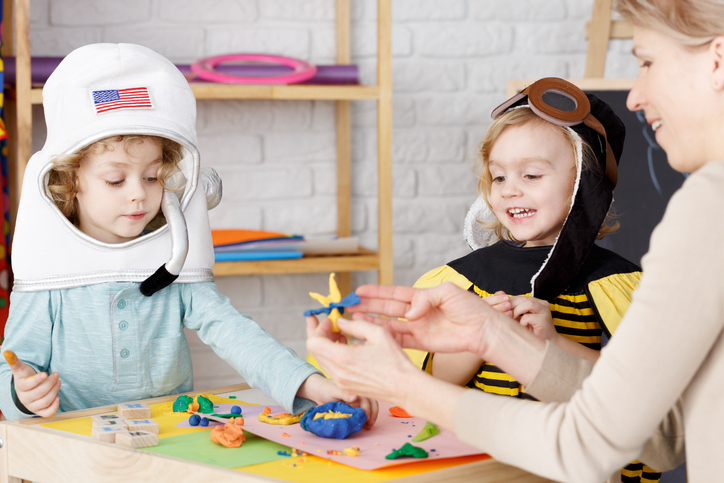 You don’t have to understand everything about how child-led play works because everyone continuously learns. Believe it or not, every moment doesn’t have to be a teaching moment. It’s OK to step back and just let your child’s learning unfold at his or her pace. You actually don’t need to teach because learning will happen. Don’t always feel you have to fix every situation for your child, but realize that you need to let them solve problems for themselves. Besides, when you step back and allow things to unfold, you learn too. You learn from your child and with your child.